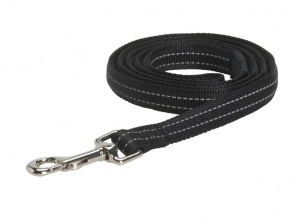 BUSTER Gear reflective dog leads ensure safety for your dog and you during walks after nightfall. Made from solid nylon that encases a soft foam filling. Available in black or blue. 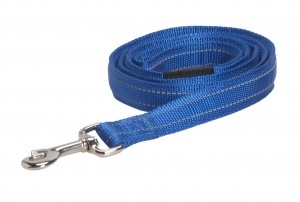 Matching collars and harnesses available.